We are a Turnkey Industrial Automation Solution Provider using PLC Panels, SCADA Solutions, HMI, Intelligent Digital Process Meters, DG Synchronizing products. 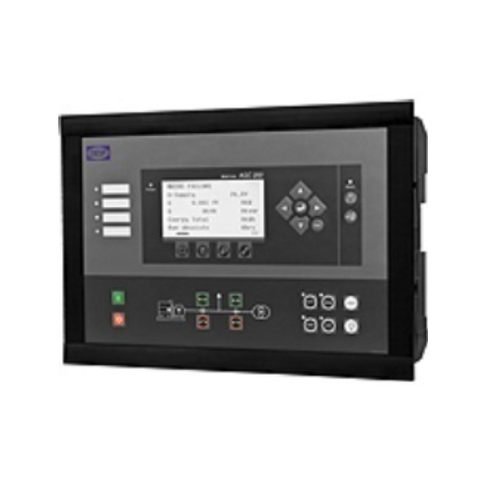 Panels : MCC, PDB, AMF Panels, Auto Transformer Starters, Mimic & Control Panels, etc. Process : Micro PLCs, Modular PLCs, SCADA, AC Drives, Industrial Automation Solutions, Panel / Automation Process Meters, Touch Screens, Remote Terminal Units. Solar : Array Junction Boxes, DC Distribution Boxes, String Monitoring Boxes, Real Time Monitoring System For Multiple Rooftop Solar Sites, Online Environmental Condition Monitoring System, LT& HT Panel Monitoring System, Solar Inverter Communication System, SLDC Communication & Billing of Evacuated Power System, Solar Invertor Health Monitoring System. Industrial : Reliability Improvement, Asset Management Software, Shop Floor to Top Floor Real Time Software Information System, Maintenance Management System. Services : Automation & Electrical Engineering Design of Complete Plants / Machines / Processes. Option of 24 x 7 x 365 service backup within the country. Service provided all over the world. Our Industrial Automation Solutions. PLC panels etc. are backed by our in house team of experienced Engineers, Designers, Programmers, Technicians, and Site Commissioning Team. We have a successful Industry delivery experience of more than 23 years. Our Director, Dinesh Kaul, who leads the team at Control Electric, has more than 32 years of experience in developing innovative Automation Solutions. PLC panels designed by him have been widely appreciated by clients for their innovativeness and for their reliability.